This is another one of those recipes that I have written down on a scrap of paper and tucked away. I have no idea where it came from, but it’s so yummy. It’s also what I had for breakfast this morning. Is that wrong? It’s fruit, people. I can neither confirm nor deny that these are crazy good with a scoop of vanilla ice cream. Just sayin. The kiddo must love you! Skillet Apples for breakfast? You are the best Mom ever! Even better if he got them with that scoop of icecream! Ha! Sadly, the Kiddo wouldn’t touch them. Weirdo! Oh fried apples:) A memory from childhood breakfasts at my Granny’s house in Kentucky. I realized after several attempts that the one thing that made my fried apples was a pinch of salt. Bizarre right?! But it totally adds. No kidding? I’ll definitely try that next time! Thanks! 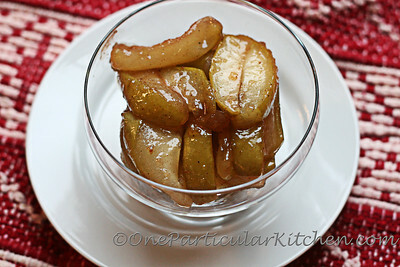 Like the previous commenter, my Kentucky grandma makes skillet apples too! YUM! Mmmm, this looks delish. Must have the ice cream too, of course. 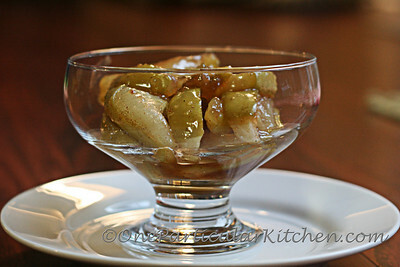 I have been looking for a good skillet apple recipe that doesn’t make a ton. You’ve saved the day! This recipe is sooo delicious! I used it to make a fruit-on-the bottom pudding parfait. Thank you, Erin!